Great news! 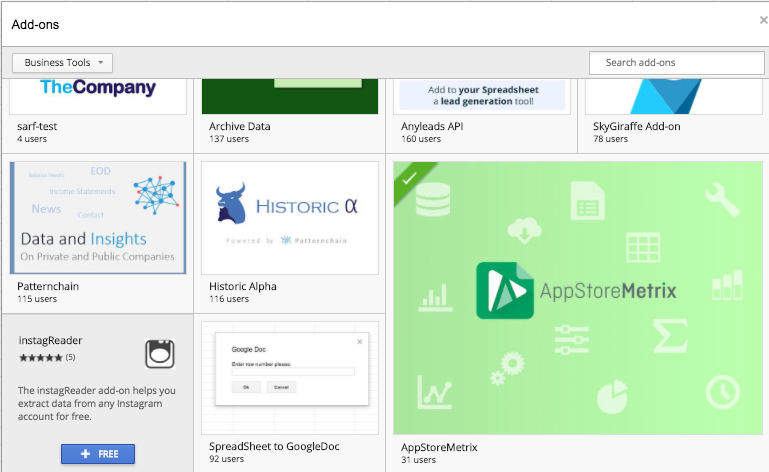 AppStoreMetrix has been sucessfully launched and published to the Google add-on store for DE and UK users on November 28th. After some reviews and tests the add-on will be published to US and all other countries soon.